Senior forward Nia Coffey was named to the preseason All-Big Ten team in both coaches and media panels, the conference announced Monday. Coffey, who averaged a double-double for most of last season before finishing the season with 20.3 points per game and 9.8 rebounds per contest, was a first-team postseason selection each of the last two seasons by both coaches and media. She also received honorable mention AP All-American honors last year. This is the third consecutive year Coffey was named to the preseason all-conference team. Ohio State’s Kelsey Mitchell was the Big Ten preseason Player of the Year for both coaches and the media, and Maryland was selected as the conference favorite. The Cats will open their regular season Nov. 11 against Hampton. After starting last season 10-0 and reaching No. 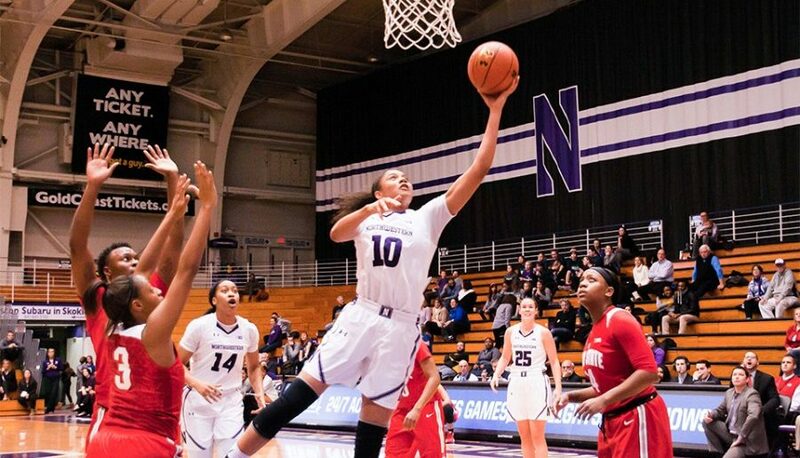 12 in the AP poll, NU struggled mightily in Big Ten play and finished with an 18-17 record after losing in the first round of the WNIT. After the graduation of guard Maggie Lyon last year, the Cats are expected to be led this year by Coffey and senior guards Ashley Deary and Christen Inman.